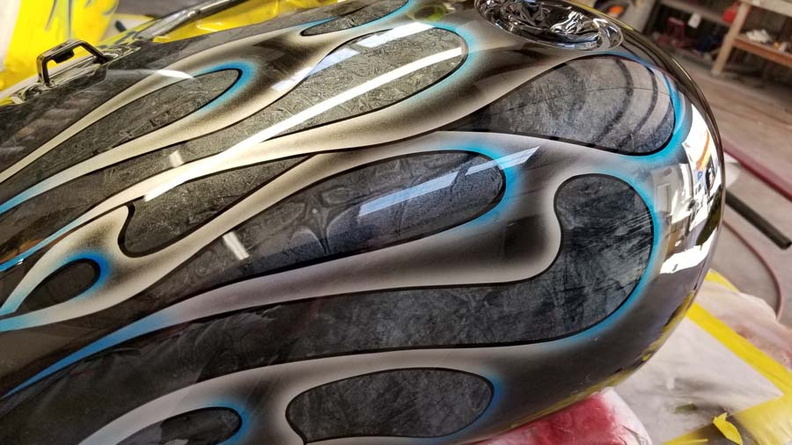 Thinking of using a local motorcycle painter? Be sure and look at reflections in the paintwork! 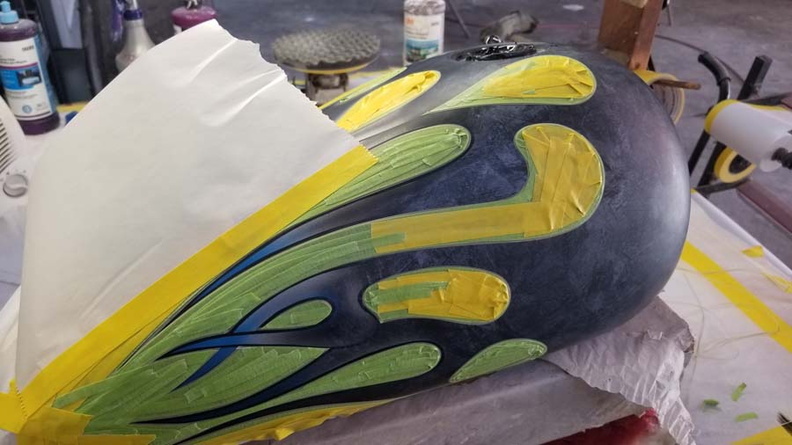 Are you dealing with a motorcycle paint shop? Interested in a ‘flame’ job? Have you seen pics of their flames? Be sure and ask for some recent jobs that were done. Each painter has their own style of flames. Make sure it is their style you like. Pic backgrounds-Don’t let those fancy-shmancy photo shoot backgrounds fool you!